- a celebration of Warrensburg's first 200 years - the people who started the town and those who made it the wonderful and unique place to live and work during the past two centuries. The exhibit included many photographs and documents pertaining to the people, places and events that contributed to its fascinating history. WARRENSBURG -- Talk about having skeletons in the closet. About 30 community members gathered in the hot sun Saturday at Warrensburg Cemetery to pay their respects at the burial of two skeletons found on the top floor of Odd Fellows Hall, Warrensburg Lodge No. 488, in the late 1980s. ​"Bury the Dead" is one of the four tenets of the Independent Order of Odd Fellows. The Warrensburgh Historical Society and Town Historian, Sandi Parisi, assisted in fulfilling this requirement of the long defunct Warrensburg Lodge No. 488 on Saturday, June 15 at the Warrensburg Cemetery as two ritual skeletons were buried in the I.O.O.F. plot at Warrensburg Cemetery. An exhibit of artifacts, photos and documents from the Odd Fellows, Rebekahs (women's auxiliary), and Theta Rho (teen girls) was seen through the summer of 2013. Photos from the burial ceremony were also on view. The name, Odd Fellows, derives from the fact that the order's members consisted of tradesmen and professionals for whom there was no specific organization. Since 1881 the Warrensburg Lodge of the I.O.O.F. also worked at fulfilling the other three tenets, which were to Educate the Orphans, Visit the Sick and Relieve the Distressed. The Warrensburg lodge disbanded in 1987. An encyclopedia of Warrensburg with over 290 photos! A book that details the personalities, circumstances, and society of Warrensburg over the past 200 years will soon be available. "Warrensburg NY: 200 Years of People, Places & Events" will go on sale beginning Sunday Feb. 16 at a party set for 3 p.m. to 5 p.m.
Tom Davis, local entrepreneur, is opening his farmstead on Lamb Hill Road to the public again this year, on Saturday September 14, and will have most of his collection of vintage machinery up and running. 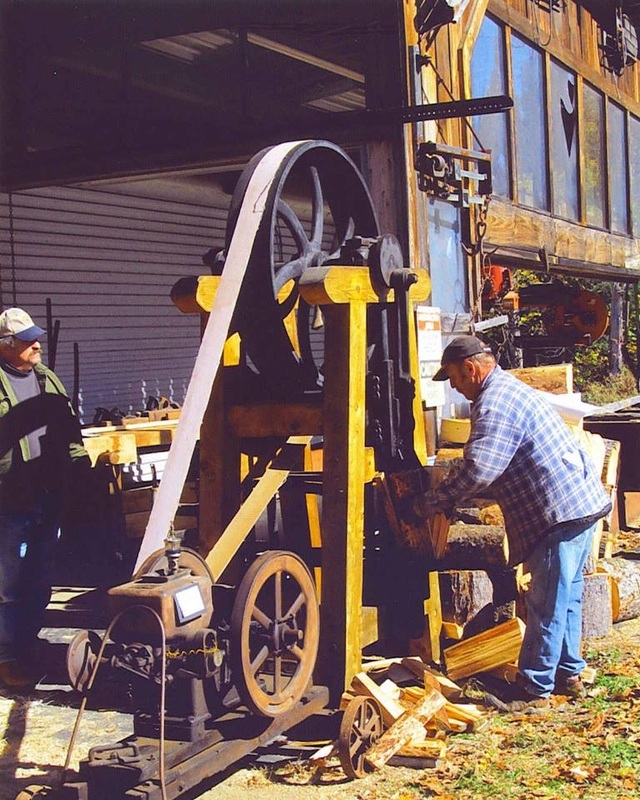 Machines designed and built in the late 19th century to do everything from cutting and splitting firewood to churning butter will be displayed. This rare opportunity will also include machinery brought in by several other collectors. The farmstead, located at 121 Lamb Hill Road in Bolton, also affords a panoramic view of the Adirondacks to the north. 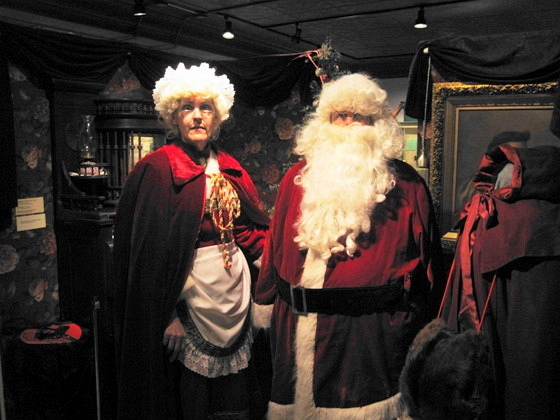 The event, under the sponsorship of the Warrensburgh Historical Society, runs from 10 AM to 4 PM. Admission is free to all. Picnic refreshments will be provided.. Attendees are encouraged to “Bring-a-dish to share” but this is optional. Andy Flynn travels to Warrensburg for the next "Adirondack Attic" segment. The southern Adirondack town is celebrating its bicentennial this year. Andy examines some historic artifacts at the Warrensburg Museum of Local History and has the story behind the spelling of the town's name. We have more than 20 pieces on loan for this holiday exhibit. Three generations have played with some, many are home-built. fabulous "room boxes" with detailed furnishings. Adirondack Architectural Heritage Workshop and Walking Tour of Warrensburg. Wilderness Heritage Corridor Showcase at Thurman Station. Warren County Rural Heritage Festival and Youth Fair. 17th Annual Sticky Wicket Croquet Competition and Picnic. Exhibition of Tom Davis’ operating 19th century farm and home equipment. Graveyard Walks with Gourmet Dessert Buffet. Graveyard Walks with Homemade Dessert Buffet. Dinner With The Dead at Lizzie Keays Restaurant. 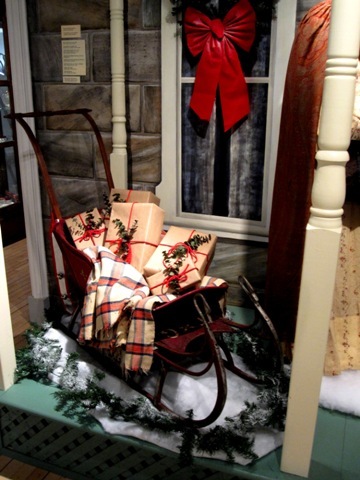 Warrensburgh Historical Society’s Annual Holiday Dinner, Lizzie Keays Restaurant. A historic review of these "sports" from 1890s to present, with reports and snapshots from the infamous local club. 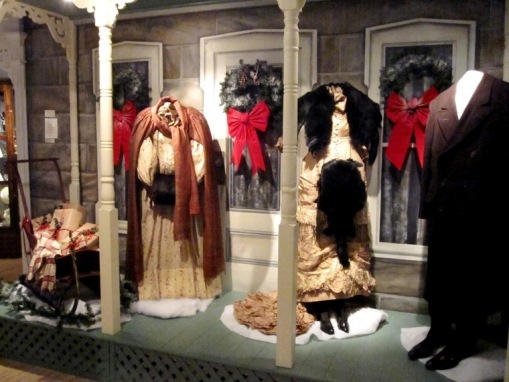 A display of personal dolls, from antique to modern, delicate to well-loved, on loan from townspeople. 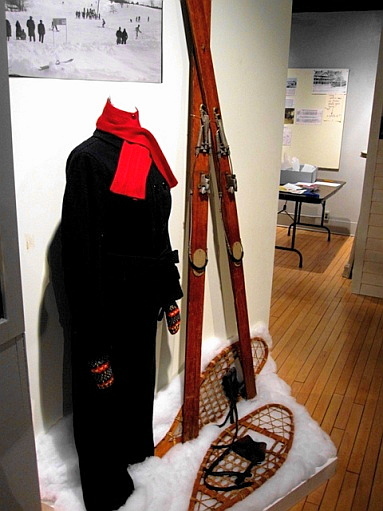 This special exhibit included photos, news items and artifacts from those exciting days in the 1950s and '60s, still remembered by so many participants and spectators. Mike Prescott, educator and guide, provided a slideshow tour of the Schroon from its origin in Underwood to its confluence with the Hudson in Warrensburg. 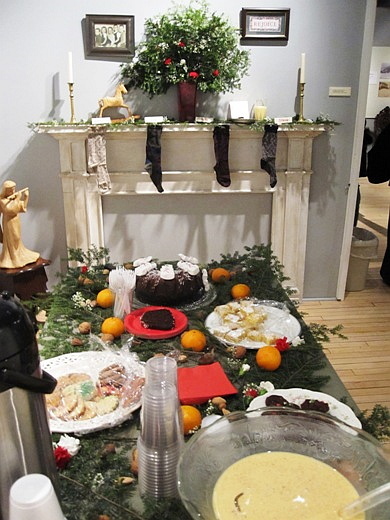 A holiday reception was held at the museum December 4 & 5, 2010 coinciding with Christmas in Warrensburgh. Light refreshments were offered. John Hastings signed his popular book of historic photos and postcards, Around Warrensburg. 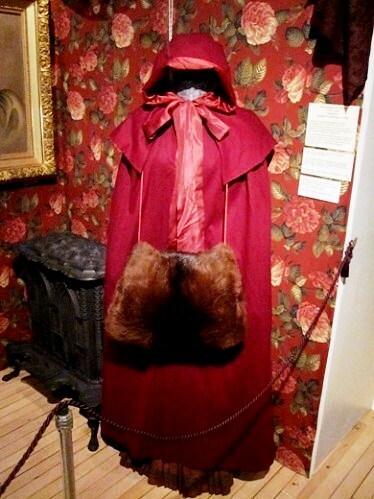 The museum was fully "Dressed for the Holidays" - with capes and muffs and overcoats. A special exhibit featured vintage Lionel Train trackside accessories, on loan from a local collector. Opening of Vets Appreciation Room. The museum was open in conjunction with the VFW Chicken and Biscuits Dinner, and the Veterans Appreciation Room was officially opened to the public.